In child custody proceedings in Ohio, parents must demonstrate their proposed custody arrangement is in their child's best interests. If you want to seek custody of your child, you must show that you can provide a stable, healthy, loving environment for your child. Except in extreme cases involving domestic violence or child abuse, judges almost always grant visitation to the noncustodial parent. Ask the clerk of court in the county where you live for a Motion for Child Custody form. Ohio law requires all custody motions have a parenting plan attached. You can obtain a blank parenting plan from the clerk, which will give you an idea of what to include in your plan, or you can draft your own parenting plan. Complete the form and provide the full name and address of both parents and the child. Specify the type of custody you want. Ohio courts generally prefer joint legal custody arrangements, in which parents share decision-making authority but one parent provides the child's primary place of residence. 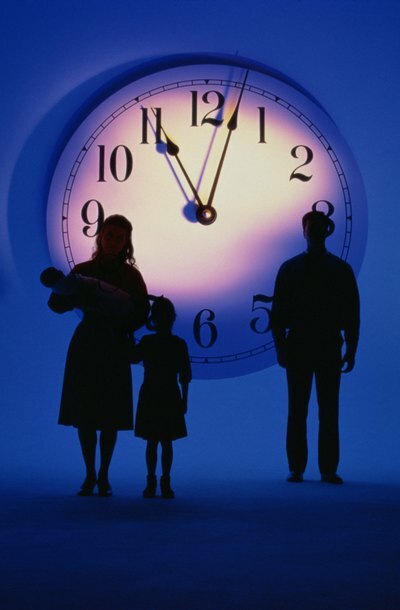 Outline a reasonable visitation schedule for the noncustodial parent. If you believe the noncustodial parent should receive only supervised visitation, explain why on the parenting plan. Specify on the motion that you want a hearing. Return the form to the clerk of court and pay the filing fee. Tell the clerk you want a hearing scheduled. You must also send a copy to the child's other parent at the same time you file the motion. If you send the motion via mail, send it certified mail return receipt requested so you have a record the other parent received the motion. Attend all hearings on your motion. Failure to attend can result in sanctions or your case being dismissed. You must also answer any discovery requests the other parent sends to you. If you cannot agree on custody terms with your child's other parent and you desire full custody of your child, you will need to be prepared to engage in a custody battle. . Obtaining full custody in Texas is difficult as there is a presumption that joint custody will be most beneficial to the child. Before you begin, determine if you already have a custody order regarding your child. If you have not previously filed for custody you will need to seek a new custody order with the court. If you already have an custody order, you will seek to modify that order. Child custody and divorce cases can be highly contentious for both parties. Some parents wish to move away to avoid the stress of contact with the other parent. And, in some cases, the parent may want to move to limit the parent's contact with the child. This can be damaging to the child, and Pennsylvania custody decisions are made according to the child's best interests. Consequently, parents who wish to relocate must follow a specific procedure, and the court will not always permit relocation of the child. A South Carolina parent can file for child custody as part of a divorce proceeding or, if unmarried, as part of a paternity proceeding. The custody portion of either proceeding is very similar, requiring a petition requesting custody and providing reasons the request should be granted. If the other parent disagrees with your petition, the South Carolina family court orders both parents to try to reach an agreement as to custody, visitation and support. Failure to agree results in the court deciding custody after taking testimony and evidence from both parents at trial.